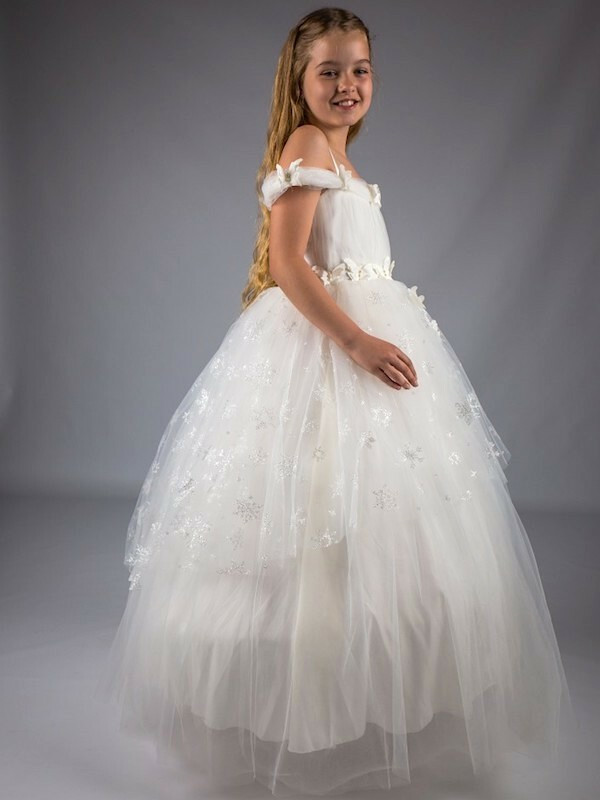 Girls ivory bardot style glitter tulle butterfly hoop dress. 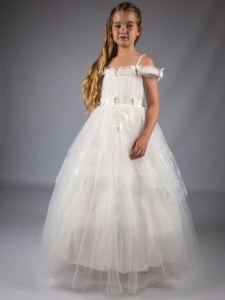 The perfect communion dress or as wedding wear for an older flower girl / junior bridesmaid. 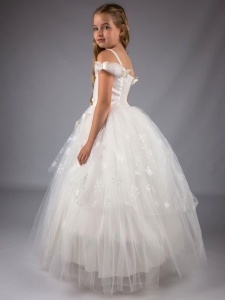 This is an exclusive ivory dress that will make her stand out from the crowd. All measurements are of the dress, not the body. Therefore, please ensure all measurements have been checked prior to purchase to ensure you select the correct size. For all pre-order items we dispatch every Monday & Thursday morning (actual dispatch date will be shown on the product page).